… but frog-in-the-barrel. We have a plastic barrel that collects water off a shed roof, but also at times tends to collect mosquito larvae. While scooping larvae out with a fine-mesh sieve the other day, an unexpected grey lump flopped into the sieve. It turned out to be a Peron’s Tree Frog (Litoria peronii), presumably also catching mosquito larvae. 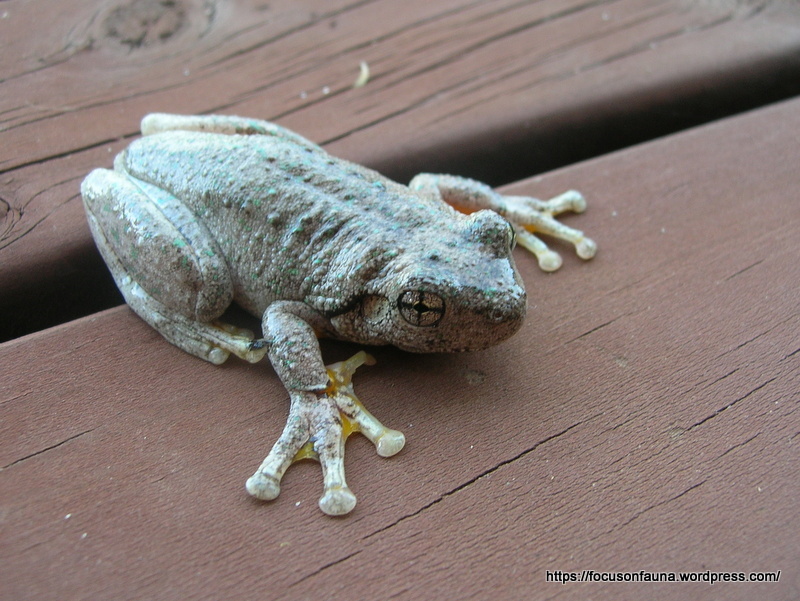 Peron’s Tree Frog is readily identified by the cross-shaped eye pupil, and by the bright yellow and mottled black colouring in its groin and arm-pits, which was clearly visible when it hopped, but doesn’t show up in these photos. 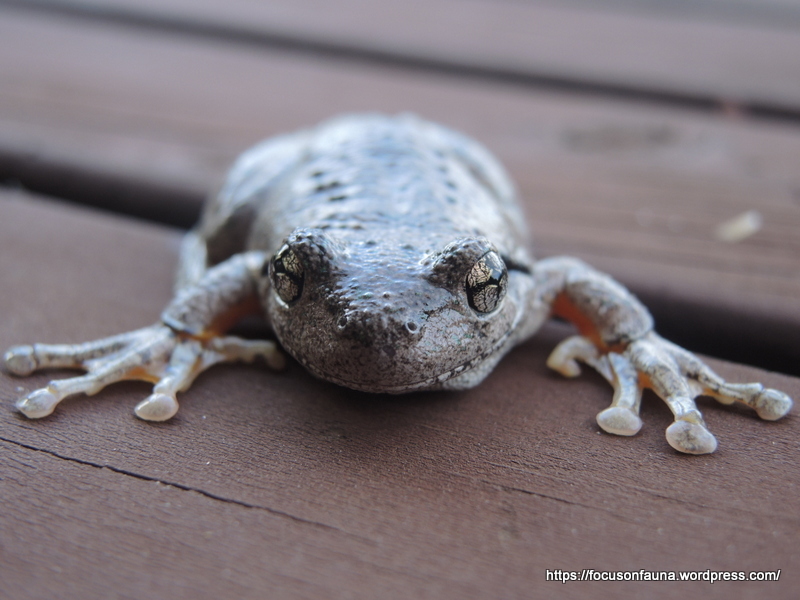 The male’s strange call is the origin of its other common name – the “Maniacal Cackle Frog”. Tree Frogs (Family Hylidae) are characterised by having pads on their digits, and Peron’s Tree Frog has particularly large pads, as seen in the photographs, and is a very agile climber, known to climb into gutters and downpipes as well as trees, and barrels! 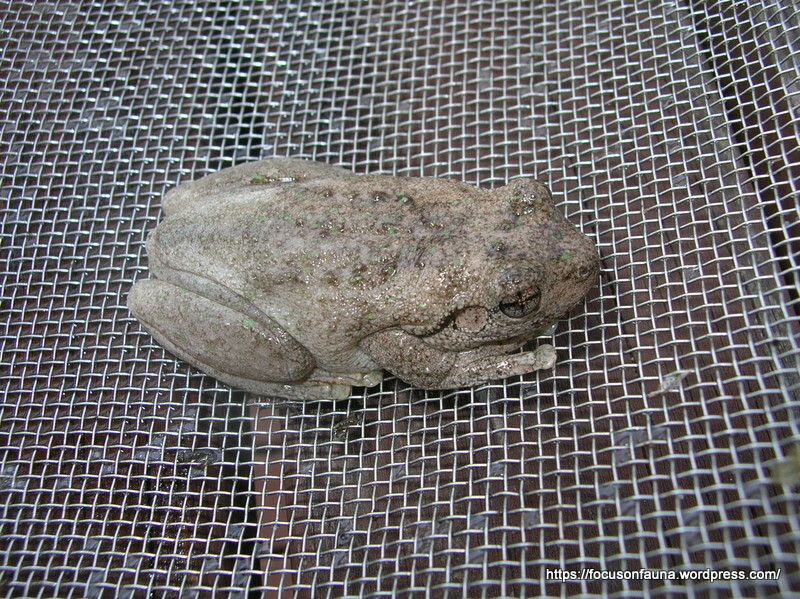 After the photo session this frog was returned to the barrel to continue its mosquito control – and save us some work ! This time of year is great for listening to isolated frog ‘chatter’ as frog bogs/wet areas start to fill for winter. Great catch and release!